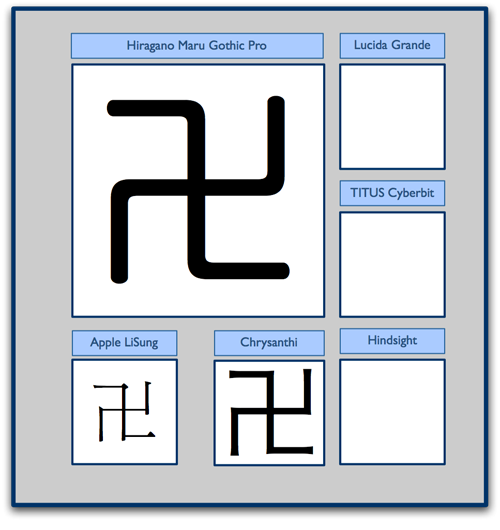 The latest specs for Unicode 5.0 are out. As with every new version, new characters have been added including minor additions to older blocks like Latin, Math, Hebrew, Greek, Cyrillic and others. In addition five new blocks were added - Phonecian, Sumero-Akkadian Cuneiform, Balinese, Phags-pa and N'ko. What Does this Mean....Implementation Wise? I did want to add a cautionary note here - just because Unicode 5.0 has come out does not mean you'll be typing Phonecian in Windows Vista next week. 2. Someone develops a keyboard utility for that script. These allow you to type the characters directly from your keyboard instead of using escape codes or cutting and pasting from the Character Map (Win) or Character Palette (Mac). The first ones are usually third-party tools and sometimes they work perfectly within the operating system, but sometimes not depending on the quirks of the script. 3. In my opinion, true prime time acceptance occurs when the major vendors (Microsoft/Apple/Firefox/Adobe) build in support for a script into their products. This may take several years and a certain amount of wrangling. Also if you're a font purist (and good designers must be), it should be noted that the first fonts are almost always "underdeveloped" and ligatures may not be as pretty as they could be. Fortunately most first fonts are now being developed in Open Type, so the initial quality is a little better than the old True Type font.